Browse and View makes the World Wide Web and your HTML pages available to those who do not have Internet access. 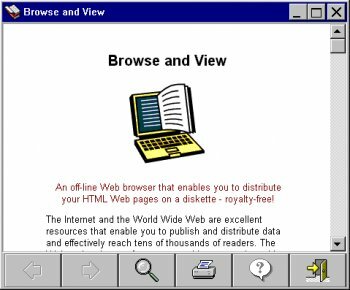 With Browse and View you can place your HTML pages on a diskette or CD, and distribute your Web site to others. A great way to create hypertext, online documents, and e-books without having to learn a new language.